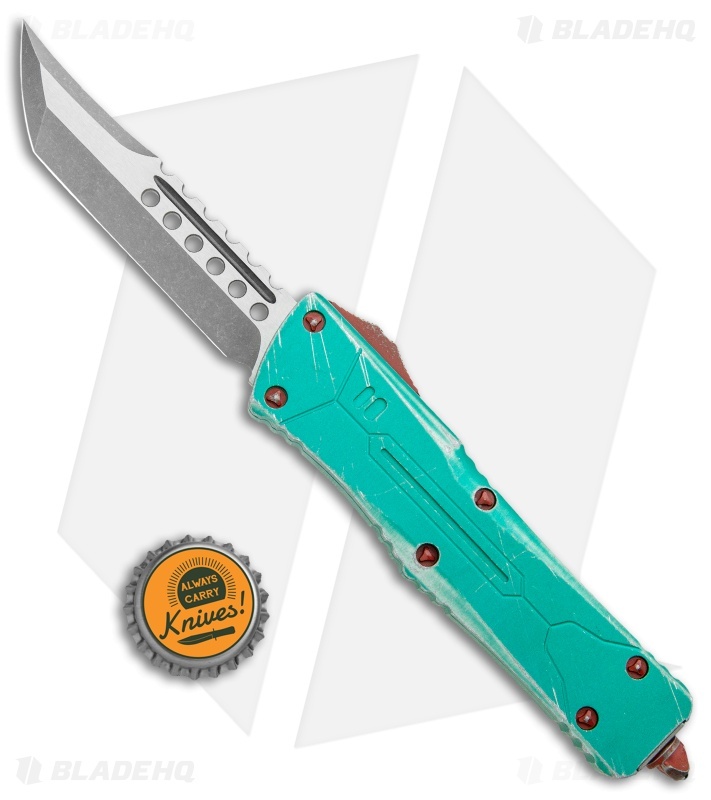 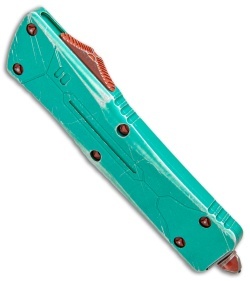 This Microtech Bounty Hunter Combat Troodon has a green battle tarnished aluminum chassis equipped with a red thumb slide, modified breaker tip, and hardware. 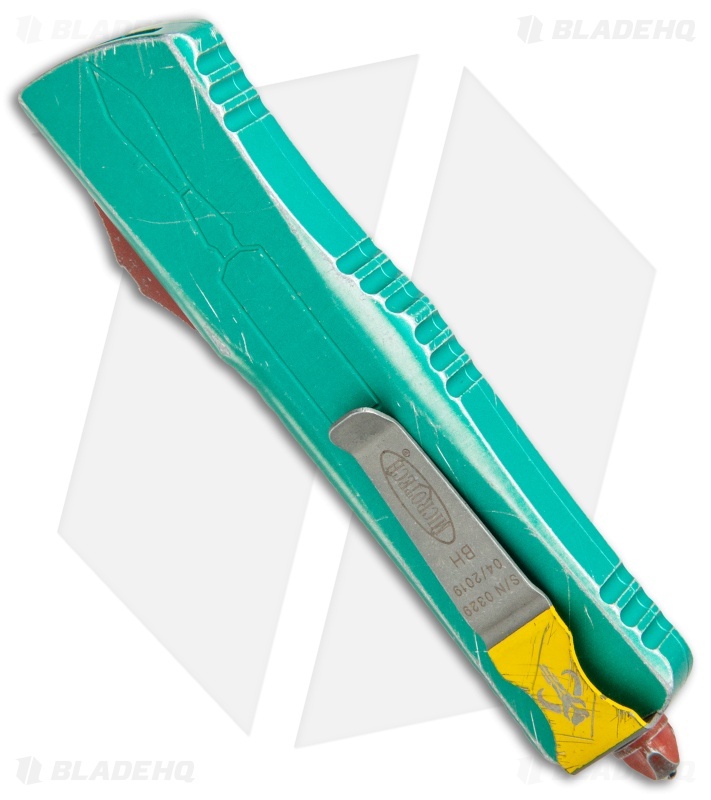 Its apocalyptic finished pocket clip sports a Mandalorian skull symbol, serial number, and date manufactured. 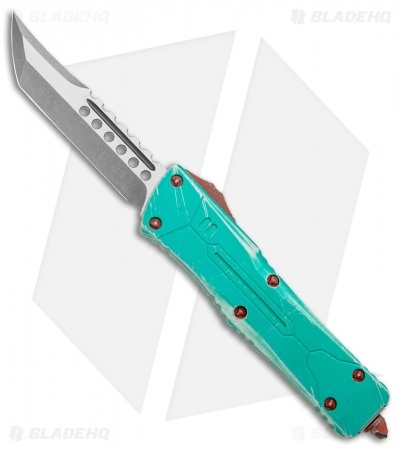 The tanto blade features satin flats and apocalyptic finished grinds. Be quick on the draw, these won't last!